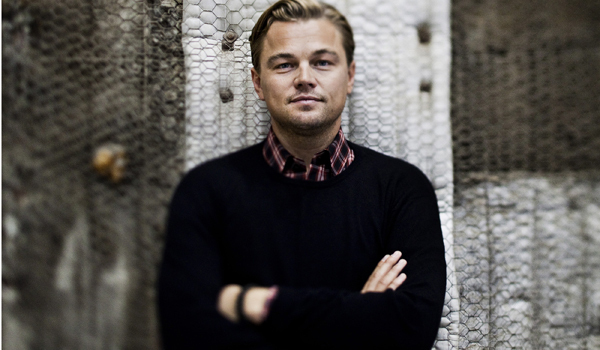 Leonardo DiCaprio Will Star and Produce in ‘Woodrow Wilson’ Biopic!!! Warner Bros. has picked up the rights to Wilson, the just-released biography of the 28th president by A. Scott Berg for Leonardo DiCaprio to produce and star. DiCaprio will produce the adaptation with Appian Way’s Jennifer Davisson Killoran and DiCaprio is of course attached to star as Woodrow Wilson. 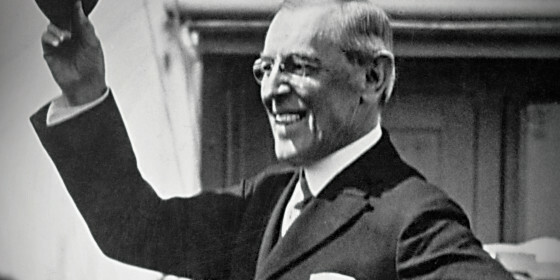 The book, which hit shelves last week, has received generally positive reviews for its intimate portrait of Wilson, who was elected president in 1912, guided the nation through World War I and suffered a stroke in office while stumping across America for the peace treaty and the League of Nations. Berg offers up a heroic, larger-than-life Wilson, emphasizing his progressive achievements like the creation of the Federal Reserve and his crusading for the Treaty of Versailles and the League of Nations while downplaying his weak record on civil liberties and civil rights for African Americans. Wilson remains a deeply controversial figure to professional historians and a villain to many on the right. Berg’s Wilson offers several well-narrated dramatic moments that could serve as the basis for a film: Wilson’s 1919 barnstorming tour of America to build support for the League of Nations that led to his stroke might be the most obvious. Other contenders include his romancing of Edith Galt and their 1915 White House wedding (Wilson’s first wife died in 1914 one year into his term. He’s the last president to marry in the White House), the 1912 campaign or the decision to enter the war in 1917. Before becoming president, Wilson was a professor (and football coach) at Wesleyan, the president of Princeton University and from 1910-12 and the governor of New Jersey. He’s the only president with a Ph.D. Wilson was a hero to Berg, who had a photo of the president in his bedroom while growing up and spent 12 years researching the book. Berg attended Princeton (like Wilson) before embarking on a full-time career as a biographer after graduating in 1971. A longtime Los Angeles resident who graduated from Palisades Charter High School, Berg comes with Hollywood connections. His brother is Resolution head and head of International Creative Management, Jeff Berg, and his partner is producer Kevin McCormick. Lynn Harris brought the project into the studio and will oversee. Harris has credits for Producing and Executive Producing several big name…and big money films such as ‘Sev7en‘, the ‘Blade‘ Trilogy and ‘The Notebook‘ among others. Steven Spielberg’s ‘Lincoln‘ proved that certain stories deserve the big-screen treatment. ‘Lincoln‘ grossed $275 million worldwide and won two Oscars out of its 12 nominations. This may be the film to bring Leonardo DiCaprio back into Oscar contention after he was overlooked as he portrayed Quentin Tarantino’s racist land owner Calvin Candie in ‘Djanjo Unchained‘. This is just the kind of role DiCaprio thrives in. He’s an enigmatic, talented and thorough actor and you see the character come alive on screen. You forget for a few hours that the man on screen isn’t named Jack/Romeo/Gatsby…we’ll soon add Wilson to that list of alter egos we’ve come to expect from DiCaprio. And let us not forget also that DiCaprio played J. Edgar Hoover, a former U.S. President. This entry was posted on Monday, September 16th, 2013 at 11:05 pm	and is filed under Film, News. You can follow any responses to this entry through the RSS 2.0 feed. You can skip to the end and leave a response. Pinging is currently not allowed. « Lucas Black is Returning For ‘Fast and Furious 7’!! !